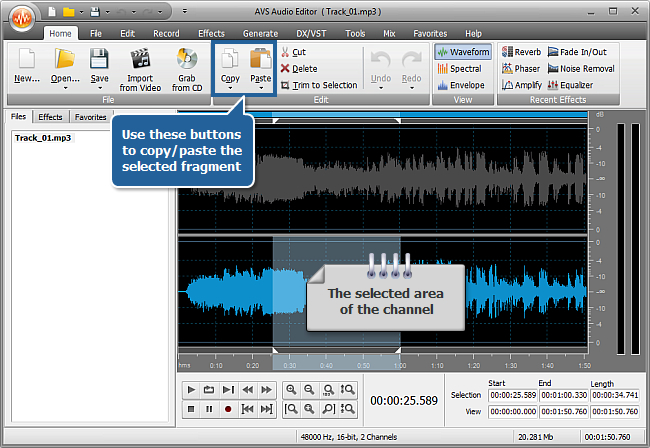 How to edit individual channels with AVS Audio Editor? 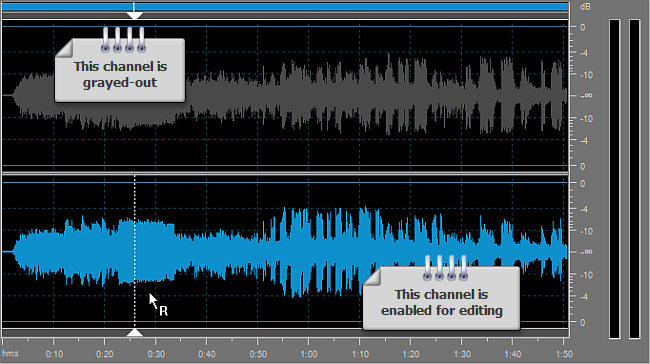 Sometimes you might need to edit only one channel of a stereo file or multichannel audio track. For example, if you would like to process your audio using one and the same effect with different parameters for the left and right channels. 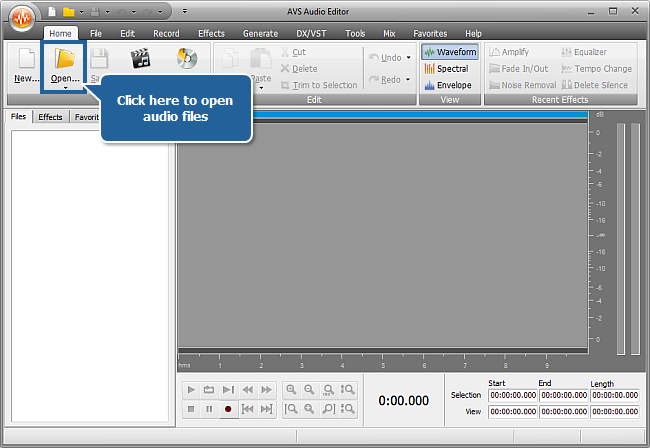 The AVS Audio Editor program allows you to do this quickly and easily. Hold the Control button of the keyboard and hover the mouse pointer over one of the channels. The pointer will acquire L or R letter. Left-click the channel that you don't want to edit to disable it. To re-enable it repeat this operation. There is another way to select the needed channel for editing. 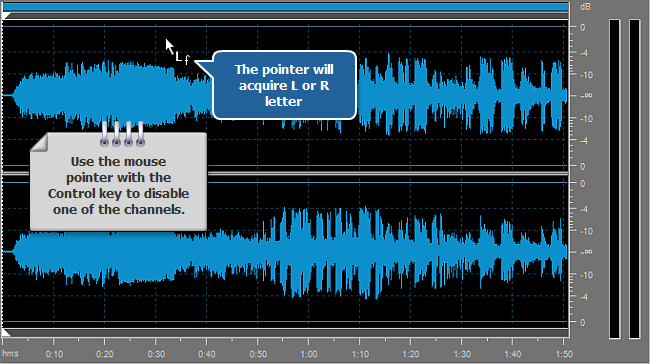 Place the mouse pointer below the average level of the Right channel or above the average level of the Left channel so that the cursor will acquire R or L letter. Left-click the channel to enable it for editing and disable another one. You can perform the Copy and Paste editing operations on the enabled individual channel. Select a fragment of the channel with the mouse. You can right-click the selected area and choose the needed option from the appeared menu or use the corresponding buttons on the Ribbon Command Bar. If you paste a previously copied fragment, the existing audio will be overwritten with the pasted fragment. The file duration will remain unchanged. If you use the Cut, Delete or Trim to Selection options they will be applied to all the channels to keep thier duration equal. 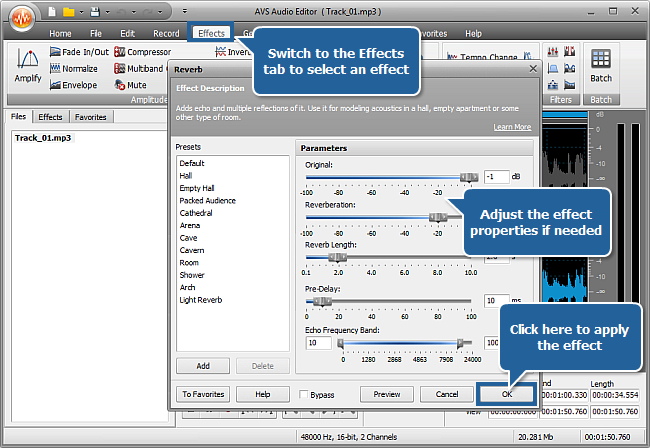 To apply an effect to the selected channel, switch to the Effects tab and click an effect button. The effect properties window will be opened. Use one of the available presets or adjust the effect parameters manually. Press the OK button. Note: almost all effects can be applied to one of the channels separately. Pay your attention that it's impossible to apply the effects of the Time Stretch/Pitch Shift button group to one of the channels. The Tempo Change, Rate Change, Pitch Shift and Reverse effects, as well as the Voice Morpher effect, will be applied to all channels whether you disabled them or not. 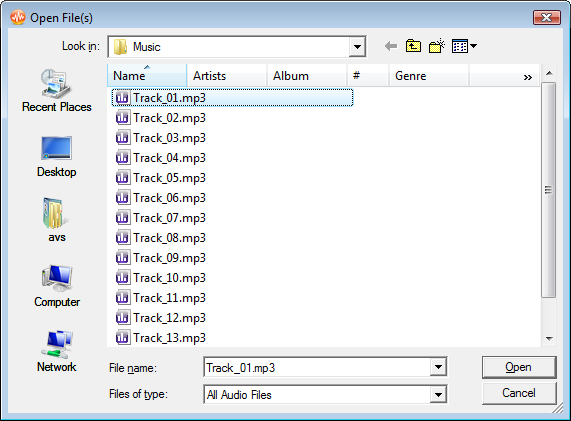 To save your resulting file return to the Home tab and press the Save button. You can also press the arrow under this button and select the Save as... option to save your edited file using a different name, location and format. 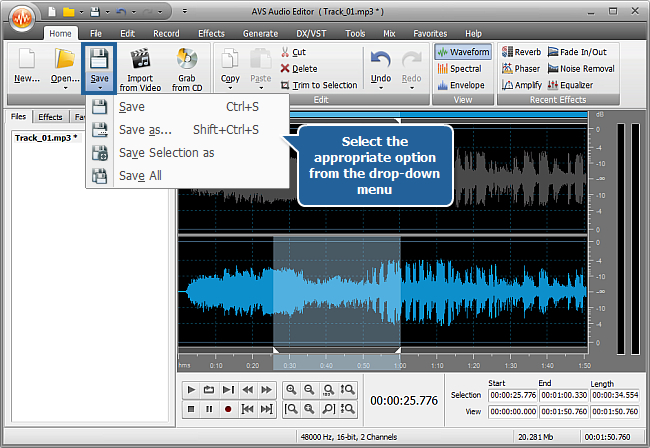 Refer to the corresponding section of the Online Help to learn more about saving options in the AVS Audio Editor program. That's all! Your edited audio track is ready to use.